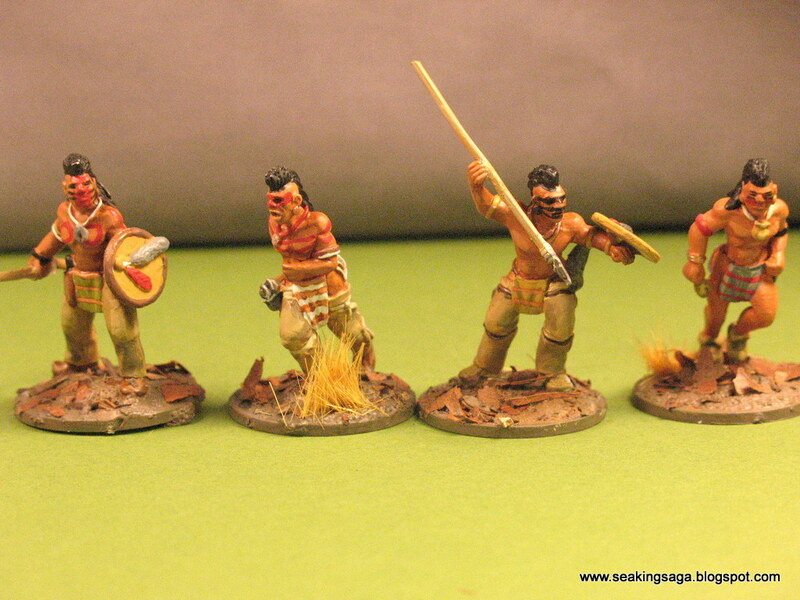 The Gripping Beast Skraeling army is almost completed - only a unit of warriors and the War Chief remain. They will propbably put on hold, a box of plastic Normans awaits. For further research on the Indians of the southeast, the best survey is Charles Hudson's The Southeastern Indians (1976). It is a comprehensive look at the peoples of the southeast from the Paleolithic Era to the Cherokees. 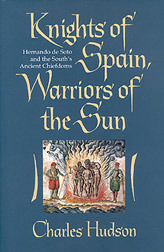 The wargamer and military historian might better enjoy that same author's Knights of Spain, Warriors of the Sun (1997). It is a well researched scholarly work about DeSoto's journey through the southeast, but its also a gripping narrative of the encounter between the Old and New Worlds at the end of the Middle Ages. Centuries before, the steel swords of the Vikings were not enough to make colonization of the Americas tenable; later the guns, germs and steel of the Europeans made conquest almost inevitable. However, in this brief moment, both sides faced each other with an equal share of advantages and disadvantages. As DeSoto and his band haphazardly wandered across the south, they were also torn apart by their lust for gold and internal jealousies. The First American series of books by Michael Gear and Kathleen O'Neal Gear can be an uneven lot. Most books contain a liberal amount of New Age mysticism, but overall the authors avoid idealized depictions of harmonious first peoples. They depict a complex, yet deeply tribal group of peoples, who build, destroy, scheme, love, fight, and trade. It should also be noted that the authors engage in what fantasy writers would call world building. No matter how archaeologically informed and researched, the authors do have to re-create the intricacies of social institutions without any documentation. 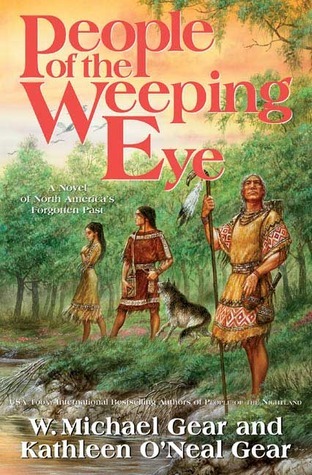 In The People of the Weeping Eye warfare erupts as one tribe challenges the hegemony of another among the mound builders of Mississippi and Alabama. For those interested in the Viking/Indian encounter, a more relevant book might be People of the Masks, about the early Iroquois, builders of the longhouses.